Based on your knowledge of the sefer Degel Machaneh Ephraim, what can you tell me about the Degel's approach to hisbodedus? This topic is very complex. Really I have no clear idea (I mean thorough), what methods of hisboydedus the Degel and other talimdey Baal Shem Tov were using because they intentionally made it very hidden. This issue is one of the hardest and most obscure in Chasidus, and even in Breslov where there is a lot of material on this, it still remains obscure almost as before! It often can be very frustrating, because of elusive character is this issue. Several recent Chasidic talmidey chachomim tried to research the inyan of hisboydedus, notable R’ Yitzchok Moyshe Erlanger shli"ta who wrote very serious sforim summarizing results of his years long research, but it feels like they didn’t even scratch the surface! As some Breslover Chasidim say, this is one of the issues, where most often those who speak – don’t know, and those who know, don’t speak… Why? We can only guess. On the other hand we see all around that hisboydedus is a nachalas klal Yisroel, and is relevant not only to great tzadikim. So why is it so obscure and almost totally elusive? I didn’t unravel this question so far. In the past you have mentioned that the Degel does, in fact, address this issue in Parshas Balak. Could you please elaborate a little more? There he just mentiones hisboydedus explicitly, quoting Rebbe's grandfather - Rabbi Nachman Horodenker zy"o. Actually this issue (in one form or another) permuates all Degel. It includes - dveykus leoysies, Toyro lishmo etc. Some of it is also brought in likutim in the end of the Degel. But as I said - this are small drops from the vast sea which is hidden beneath. ASJ and Yid, thank you! I felt this the whole time! Although I've tried doing hisbodedus many times, I always felt that I'm not doing it right, and end up talking not to God but to myself!! I'm sure that's not what the tzaddikim meant. I wish there was a "hisbodedus training school" where they would teach us how to do it right. Meanwhile, does anyone got ideas? 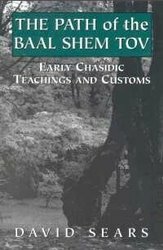 Also be sure to check out the CD The Only Address as well as Rabbi Brody's book that has an excellent chapter on "how to"
You can try to find Rav Erlanger's seyfer (Shivo Eynaim). He already publushed 4 parts. It's main focus is hysboydedus in Chasidus, he tries to the best of his abilites to research methods of Baal Shem Tov and his talmidim. And he takes great efforts there. The work is really amazing and great. But even after that, he himself admits, that the core inner mesoyro of Chasidic hisboydedus remains purely oral, and isn't written anywhere! And if you don't have a teacher - you don't know it! He just tries to come closer to it, but even he admits that he didn't yet find it!! This whole issue works in sforim by method of "megale tefach umechase alpaim amo" (to reveal tefach, and to conseal two thousand amoys). A Yid: Could you give some things R' Erlanger said about the Degel and hisbodedus? He quotes Degel many times for different reasons (to bring some points, not alwatys about hisboydedus). But he brings some places about hisboydedus as well. For example in likutim, he quotes a place, where the Degel brings Baal Shem Tov, saying that every single dibur (saying, part of speach) contains 5 alephs. This obscure statement has direct relation to hisboydedus. Integral part of all this is dveykus leoysies (attachement to the letters of one's tfilo and Toyro, and for far more advanced - even to "mundane" speach). This is connected with hey moytzoes hape (five parts of speach apparatus which divide all consonants in 5 groups. 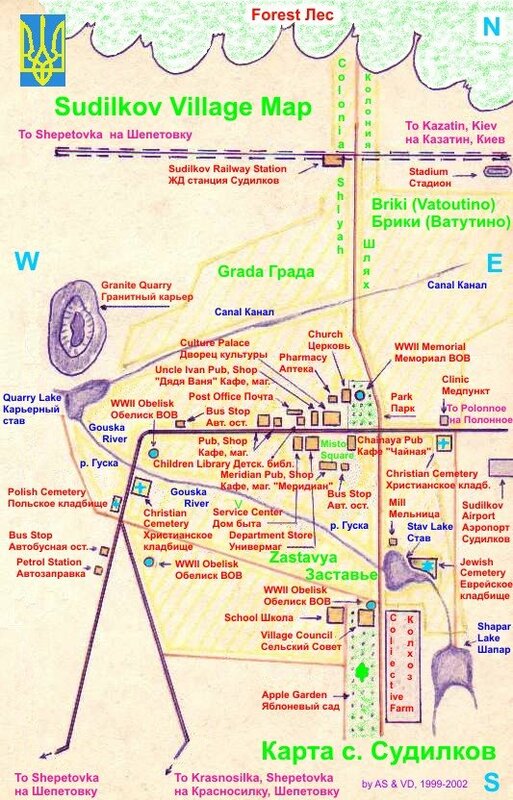 Vovels also play important role here, and there are 5 primary ones (a o e u i). This is what Degel says here. But as you see - he says it in completly obscure way. It was my post before. (You may fix it if you can). A Yid: You are right, I wouldn't have necessarily connected that piece with hisbodedus. This whole sugye is summarized in the famous letter of the Baal Shem Tov where he tells, how he asked Moshiach when is he coming. Baal Shem Tov speaks about hisboydedus and dveykus leoysies there in the end (many don't pay attention to that part). Degel parralles this, and brings almost the same words (he actually quotes that letter). When you become more aware about what issues are involved (in hisboydedus) you'll start recognizing it all around in early sifrey Chasdius in general and Degel in particular. (It doesn't mean you'll understand what they are NOT saying, but at least you'll understand that that it is there). I was never aware of this undercurrent in the sefer. Thanks for making me aware of it. The hitbodedut is a simple matter, you sit and you talk, sing and if you dont have words you just sit en wait...simple. ps: great pic! 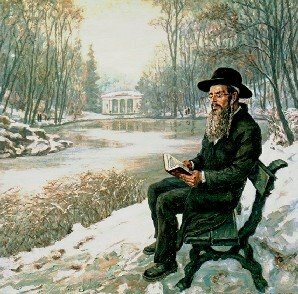 (a hassid in sofia's park at hitbodedut? Ilan: It is not a simple matter, and a tendecy of oversimplification of these matters is far from correct. Even though Rebbe speaks about hisboydedys a lot, there is even more here which he doesn't speak of. In sifrey Rabeynu it is very apparent, and Reb Noson writes about it right in the introduction, that Rabeynu was megale umechase (reveled and concealed). And cocealed he much more than revealed! And you shouldn't ignore what he concealed at all. You should work to find it. Ilan: Just one example. If this matter is so clear as you say, where does the Rebbe describes the process of limud lishmo and dveykus leoysies haToyro (and tfilo)? And how do you understand it all practically if you do it? Our feelings of not understanding hisbodedus is from the lack of Chen Mentioned in Torah Alef of Rabeinu.And Second Torah of a Lack of Hiskashrus to the Tzaddik Emmes. We arent Searching for the Tzaddik and we definitely not willing to be Mvatel ourselves to the Tzaddik. H-shem Please PLease teach us what it means to be MisKasher to the Tzaddik Help us Mvatel Ourselves to him completely to know we are really nothing. It is more than a feeling. It is often actual not understanding! Definetely, for a chosid hiskashrus to the tzadik is important, as well as bitul. And as Duvid said in the beginning, it would be good if we would have more serious teachers for these inyonim, from whom we can learn from their example, and who could teach us. There are very few like that! And it is not always easy to get to them. And who knows if they are always willing to teach? Yid: I do not agree with you. Rabenu describes perfectly as debit to be the hitbodedut, which it the form, wich is the time, etc. Also - following your example - he describes how it is necessary to study tora and the priorities of the study. Rabbi Natan in the Akdama to the Sipure Maasiot, writes because the Rebe sometimes was not revealing the things, since while are conceal they have more coaj. But there is another motive pashut, we do not prune to deal completely the kavana of the rebe in all his words, but ABSOLUTLY ALL the writings of the rebe are to lead to the practice, afilu ish pashut! This prohibited to say that the Rebe said something that should not be practical or not applicablly for us. On the inian of the Limud Tora, the rebe speaks often, and also in Sijot HaRan it appears, I am not going to mention all the sources because i really don't know every source and because those who i know are long of transcribing. Lev Nishbar: Reb Itzjok Breiter ztvkl writes that ALL the times that the Rebbe refer to the tzadik, tzadik of the generetion, moshe, tzadik haemet, etc, he was refering to him. Rabbi Natan writes too that the Rebe is the Tzadik HaEmet from uor generation ad biat haMashiaj bimera beiamenu amen! kmo omer rabenu zal: "haesh sheli tukad ad biat hamashiach" because from him to mashiach there are not other tzadik hamiti bechinat moshe rabenu. Amen to your request !!! Definetely, if you are zoyche to understand them correctly, they'll lead to correct practice. True, there are simple lessons from all this as well. And it doesn't mean that there is nothing else chalilo. To say that you can get simple lessons is true, but to say that's about it and nothing more is an oversimplification an is totally wrong. I never said it. I said that one shouldn't fool himself that he understands Rebbe's words well, because they are very simple while he does not and they are so simple at all. Rebbe's words are very profound and you have to get used to it. Don't tend to oversimplify everything you see in Rebbe's words (or that of Reb Noson) because they may sound simple and not so sophisticated. 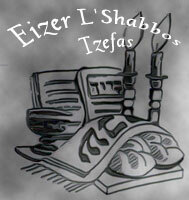 Minchos Elozer ztz"l used to learn as a seyder different sforim of Talmidey Baal Shem Tov and Talmidey hoMaggid. Once someone noticed, that he spends lots of time on Seyfer "Kdushas Leyvi" (of Reb Leyvi Yitzchok miBerdichev zy"o). He asked Minchos Elozer - why is he spending so much time on it? It is relatively easy comparing to other sforim! Minchos Elozer answered him that it is completely wrong. Actually all Kisvey Ari"zal are included in Kdushas Leyvi in a certain way, and those who work on it will see, he said. I think this story shows the point well. Rebbe once noticed himself, that people make a mistake, saying that his teachings are so exalted because they bring different earlier mekubolim and authorities. He said - they include them!! Rabi Natan in a letter to his son he write: "ani maamin veemuna shelema she kol dibre rabenu zal...have a lot and deeps secrets that we cannot underestand"
If Rabi Natan can't i can't. The Rebe gives the key to understand his lesson and all the Torah, aien ve Sichot HaRan. But anyway, maybe i don't understand completily ok, but mi rab do, so if i don't understand something i can ask him. "Kol macholket she hi leshem shamaim sofo leitkaiem...eizo hi machloket she hi leshem shamaim, zo macholket Hilel veShamai..."
> If Rabi Natan can't i can't. What you can't - you can't. But what you can - you have to try to understand to your best, and not to stop on oversimplification, saying that since you can't understand it anyway (in fullest) why bother to work on it. Thtat's the correct approach to it, as far as I know. Did anyone see a new book from Eizer Bergman on hisboydedus? What kind of book it is? A Yid: I will let you know soon. My copy is being sent to me in the mail!